What does a window-cleaner, outdoor activities leader, and scaffold-builder have in common? They all need to comply with the Working at Height Regulations. If you’re in any industry that involves working at height – or even if you’re planning to fix the guttering this weekend – then you must have a grasp of the basic principles behind this legislation. 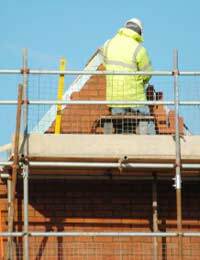 The Working at Height legislation (2005) can be found at the government website opsi.gov.uk. What follows below is a guide to the central principles, which will be a useful introduction to newcomers. Although the Regulations were put into place in 2005, the guidelines are largely common sense: for example, work must be properly planned and supervised appropriately. Equipment must be checked before use and scaffolds and ladders must be used with safety precautions in place (like guard rails). Anyone working at height, or employing people to work at height, should be aware of the basic legislation – it’s designed to avoid fatalities on the job. Regulations apply to you if you employ people who will be at risk of falling. It doesn’t matter if those people will be at ground level – if there’s a risk of injury they’re covered by the Regulations. The self-employed aren’t exempt. You're also responsible if you lead a group of people – for instance, on a team-building or outdoor pursuits trip – who will be at risk of falling. There are some exceptions for people leading caving or sports activities. Other exempt parties include police, firemen and other emergency workers, and ship crew. Here's an overview of the essential areas of responsibility set out by the Regulations. Planning: As leader or employer, you are responsible for planning, supervising and monitoring the work at height. This includes duties such as checking the equipment, and stopping work in poor weather. You must also ensure that the person doing the work is competent to do so, or is being trained by a competent supervisor. Fall Prevention: The leader or employer is responsible for taking measures to prevent falls. This includes providing safety equipment to minimise the distance and consequences of a fall. Choosing Equipment: Where it isn’t practical for work to be carried out from a place or work, equipment must be selected to ensure the employee is not put at risk. The choice of equipment will depend on distance negotiated, duration and frequency of the work, and it should also be chosen with emergency evacuation or rescue in mind. To fulfil their duties, employers should be able to show that they have considered all of the potential risks and made an informed decision. The Regulations specifies certain equipment or systems for different working situations – check them for information about your particular area of work. Cordoning the Danger Areas: The employer is responsible for identifying danger areas, such as the ground below and around a scaffold, where people may be harmed by falling objects. The area should be properly equipped (see above) and also clearly marked for employees and the public. Employee Reporting: If you are an employee or trip member, you’re responsible for properly using equipment and for reporting any situation or equipment that you find to be risky.